Sabercom offer visual and engaging multi media communication tools. 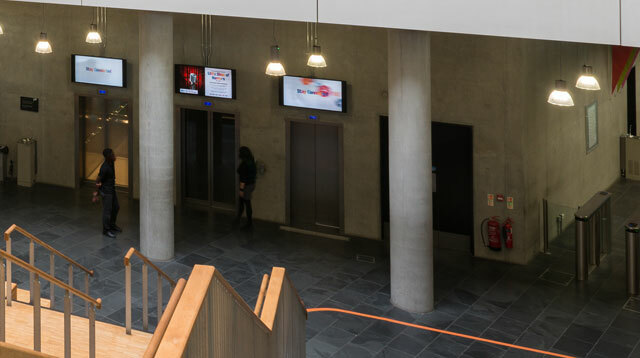 Specialising in digital signage, we can display internal communications on large display screens or on employee desktops in the form of our corporate screensaver. Using Sabercom, you can compile an on screen media presentation to include video, images, information from your CRM, news, weather, corporate messages, statistics, video, PowerPoint, Excel and RSS feeds. Information can be easily changed using Sabercom’s browser based content management and scheduling system.